While in Hanoi, Mitch’s cousin, Jake, asked us what we were doing for Tet (Vietnamese Lunar New Year) and said he would be in Saigon after all. 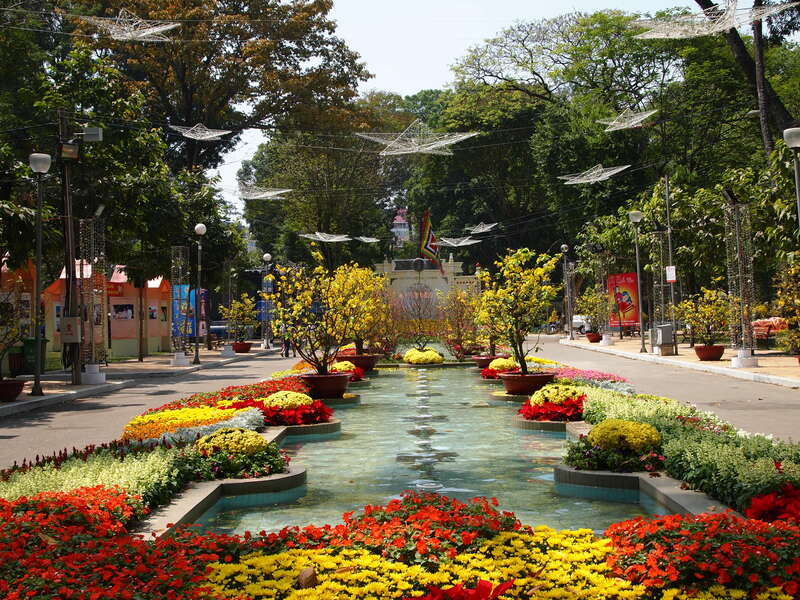 While we were trying very hard to leave the smallest carbon footprint possible by flying as little as possible, Lunar New Year with family is so important, so we booked some incredibly inexpensive ($30/person), last minute flights to Saigon, where my father grew up, for the celebration. I was so surprised when I landed in Saigon. The streets were incredibly clean and almost empty! We quickly found out that during Tet, most people from Saigon leave the city to return to their families for the 10-day government holiday. The city had pretty much shut down — 90% of restaurants were closed and those that were open featured increased pricing for Tet. There were, however, some beautiful celebratory exhibits for Saigon natives who didn’t leave the city. We wandered up and down the huge flower street exhibit and through the park near our hotel, which featured beautiful bonsai displays. On New Year, we watched the fireworks show from the river, and it was amazing. 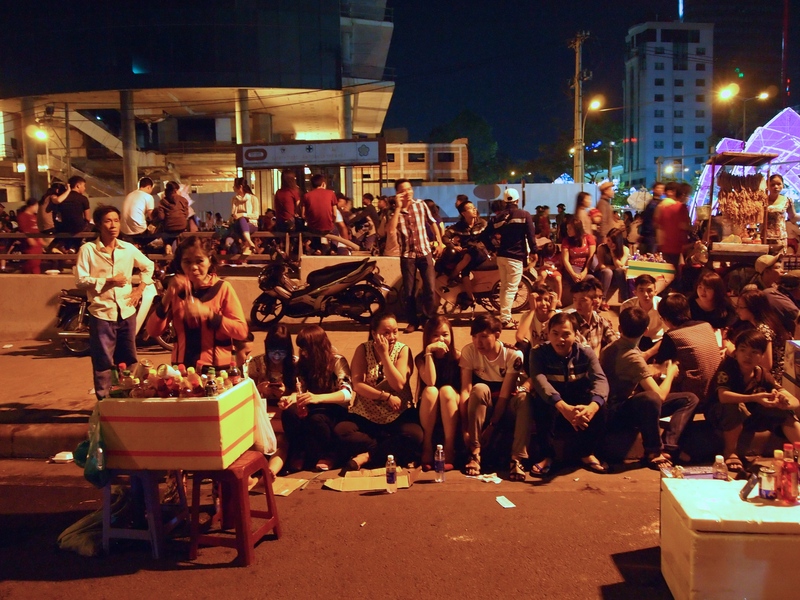 People waiting for hours to watch the Tet fireworks. So much good street food! 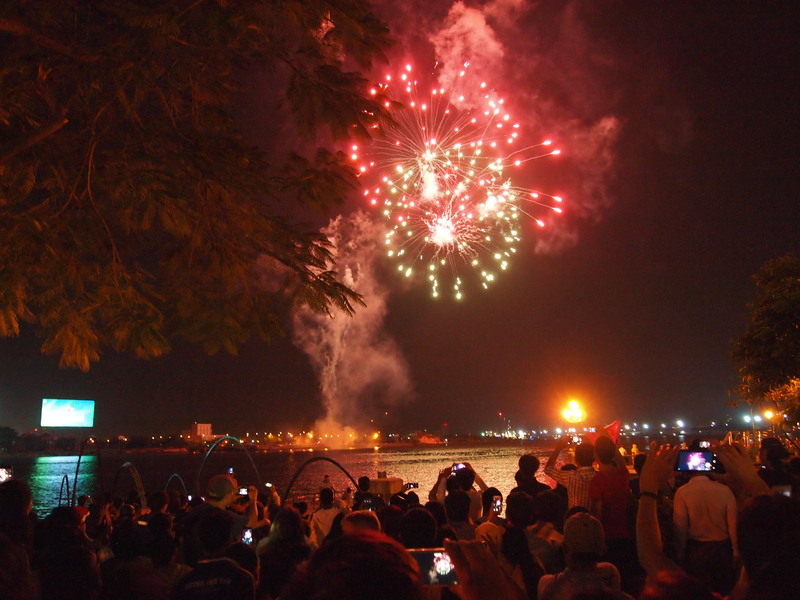 The Saigon Tet fireworks were actually really good — it was a long show with beautiful, huge fireworks over the Mekong River. We did get to see Jake and his partner Thuy one night for dinner, which was so nice. They were busy but planned to meet us again in Nha Trang a few weeks later. While in Saigon, we visited the town of Cu Chi, a stronghold for the Viet Cong (southern Vietnamese guerillas who sided with the Northern Vietnamese Communists). 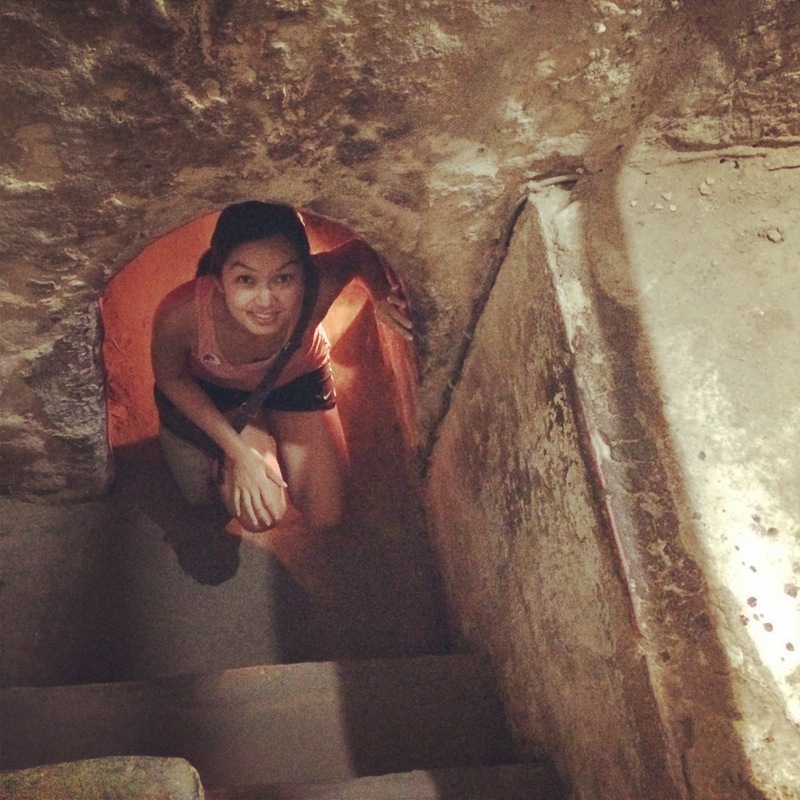 Cu Chi is famous for its extensive underground network of tunnels that the VC used to hide, plan attacks, and live during the war. Although our tour was less than amazing, it was interesting to see the extreme extent of living conditions during the war. We went into one of the tunnels for a bit, and I actually had a small panic attack because of how incredibly small the spaces were. 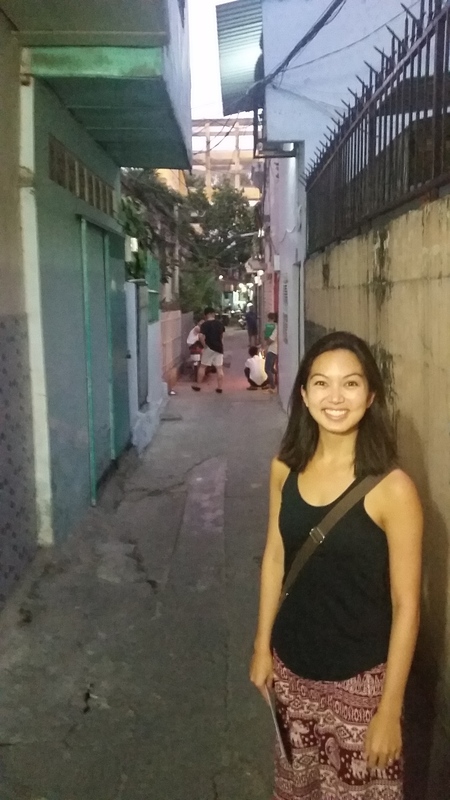 One of the most special things I have done on this trip is to visit my dad’s old home in Saigon. Before I left on the trip, my dad drew me a simple map that i carried with me all these months. I finally took it out, and Mitch and I used it to find my dad’s old home. Walking down the alley where he used to play and go to school was really emotional for me, and I felt a connection to his past that I never had before. Sometimes you forget what your parents went through and left in order to make a better life for you, especially if you have immigrant parents. As a child, I definitely didn’t understand this, but growing up I did appreciate their sacrifices; however, seeing the country, the cities, the streets where my parents walked gave me an entirely clearer perspective on how much they left behind, how hard it must have been to live in a completely different country, and how much they worked to get to where they are and to give me all of the privileges I have.